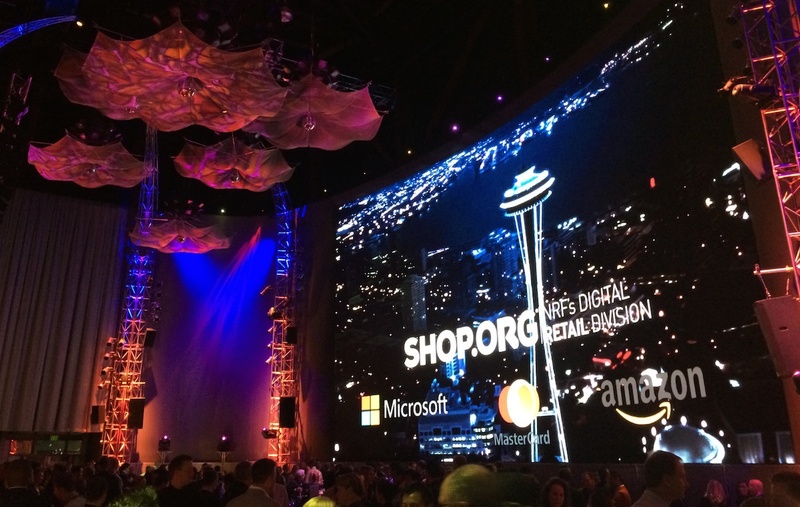 Earlier this month we headed to Seattle to spend time with the retail tech crowd at the annual e-commerce summit, Shop.org. We were reintroduced to a number of recurring themes from previous retail conferences: the rise of mobile, showrooming and, of course, omnichannel. It’s no surprise that traffic is being directed simultaneously from website to store, and vice versa. In fact, according to opening keynote speaker, Jerry Stritzke, President and CEO of REI, 47% of in-store customers visit the REI website during their shopping excursion. In what is now undoubtedly an omnichannel world, retailers are feeling a sense of urgency to adapt and deliver on brand experiences for their customers wherever they are. We chatted (and partied with) hundreds of retailers. Nearly all of them were looking to run their physical stores more like their websites. Considering that Shop.org is primarily a digital event, the show was surprisingly relevant to offline businesses. With NRF Big Show coming up in January, we’re guessing that we’ll be seeing even more of an emphasis on building consistent online and offline brands. We’ll see you there!